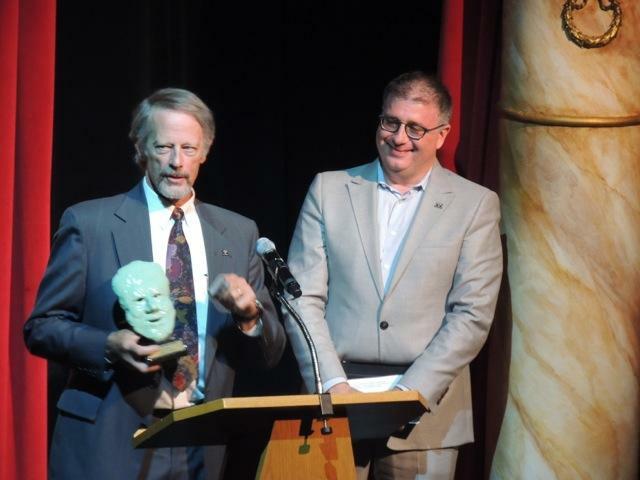 The Colorado Theatre Guild honored UCCS Theatreworks with three Henry Awards during a July 22 event at the Arvada Center for the Arts and Humanities. Outstanding Volunteer Award to Randy Dipner, Colorado Springs, a Theatreworks Advisory Board member. Outstanding Sound Design to Brian Freeland , Denver, for his work on “The Elaborate Entrance of Chad Diety” co-produced by Theatreworks and Curious Theatre Company.